By now you’re seeing the trend here: the world’s biggest city, the world’s longest canal, biggest airport, longest high speed rail network and underwater tunnel. So the fact that China is building the world’s largest Wind Power Farm too shouldn’t surprise you. The Gansu Wind Farm Project will produce 20 Gigawatts of power by 2020, and will cost nearly $20 billion to build. Turbines are going up at the staggering rate of 35 per day across the three areas that make up the power base. In 2012, Gansu’s capacity surpassed the total wind-generated-electricity produced by all of the United Kingdom, and it’s just the largest of six mega-wind farms currently under construction throughout China. But China isn’t embracing wind just to reduce its carbon emissions, it’s doing everything it can to simply keep the lights on. Some parts of the country with booming middle class populations suffer persistent electricity shortages because, just like us, people want refrigerators, dishwashers, washer and dryers, and computers in their homes, but there’s only so much energy to go around. So China’s State Council is pushing for an across-the-board renewable strategy to reduce its dependence on oil, coal and gas, the finite resources of the 20th century whose extraction and consumption are subject to constant geopolitical tensions. As a result, since 2013, China has led the world in renewable energy production, with a total capacity of 378 installed Gigawatts, coming from projects as wide-ranging as Gansu to hydroelectric power plants like the Three Gorges Dam, which spans the Yangtze River and is the world’s largest power station of any kind. In just the last 10 years, China has increased its solar panel production 100-fold to become the world’s leading manufacturer of the technology. With China now pumping more CO2 into the atmosphere than the number two and three emitting countries – the US and India – combined, it’s vital for the future of the planet that it continues using MegaProjects to create a lot more Megawatts of clean, green power. Thanks for watching. Click the like button to help share this video, it really helps me out. Until next time, for TDC, I’m Bryce Plank. A timelapse documentation prepared for Energy Development Corporation (EDC). However, this presentation represents the author’s own edit. It is not the approved version of EDC. Featuring 50 units of Vestas V90 3MW wind turbines. Commissioned last November 5, 2014. The estimated cost for the construction of the wind farm was US$450 million. Coverage commenced from the arrival of turbine components last October 2013, with the blades, nacelles and tower segments arriving at Omnico Port, Ilocos Norte. These parts were later transferred to Burgos through barging. Significant stages of the construction were covered: from Foundation Preparation up to Tower Erection. Hundreds of thousand still shots taken using CANON 5D Mark3 with various Canon lenses. It also utilized a proprietary Long-Term Timelapse set with a camera in a metal enclosure shooting continuously at location. Watch in 720p HD and with sounds turned loud. 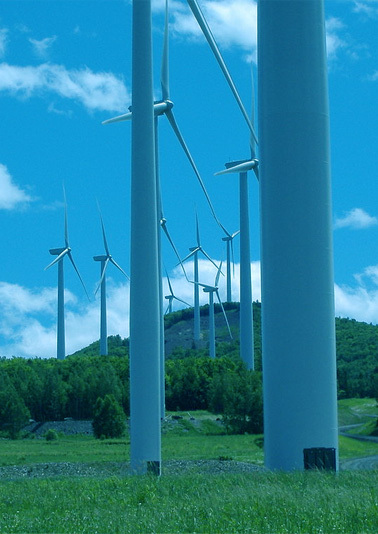 Welcome to New England’s second largest Wind Farm on the summit of Mars Hill Mountain, Maine. The $85 million project by UPC Wind Management consists of 28 massive wind turbines (17 in front of the camera, 11 behind). Each wind mill is 389 feet tall and has 3 blades. The towers are wired to individually pivot toward the wind and all three blades can be feathered to get the most efficient push. They are also programmed to shut down in sustained high winds. Sharp is a great name when it comes to home appliances. Over the years, they have produced supremacy of different household stuff from entertainment to air conditioners and to heavy-duty vacuum cleaners. And in all fairness to the brand, they never disappoint customers. That is why, even after decades have passed, the name remains tremendous in the home appliances industry. Check We Do Dirty Work Co. and you’ll know what I mean. Vacuum Cleaners made by the brand are tested top-of-the-notch, durable and long-lasting. However, it still depends on how the user will take care of it. So to cut the long story short, here are some of the repair tips that can much prolong life of your sharp vacuum cleaners. 1. Avoid using low-priced bags. In able to maintain the vacuum motor runs smoothly and flawlessly, bags should remain good and clean all the time. This happens to be an issue not just with sharp cleaners but also with other brands. Hence, use only high-quality bags and those cheap ones are just blah. Avoid buying them since they will only be a waste of money and will cause for the vacuum cleaner to run poor. One more thing to remember is to use the proper kind of bag for a specific type of vacuum cleaners. Consider whether your unit is a canister type, upright and the likes. 2. Don’t over-fill vacuum bags. 3. Use clean and good filters. Protect the motor of your vacuum from big debris and dirt that might cause clogging or malfunctioning of the entire unit. Motor-wise, there’s only one thing to do this and that is to use clean and good filters. Make sure to always clean the filters, wash them if possible then let them seat into the vacuum in correct position. This is very important not just to keep entire home from scattered dust, dirt and other air allergens but also to safeguard your unit. Solar Wind Works specializes in consultation, sales design, service, and installation of turnkey Renewable Energy Power Systems. Solar Wind Works is a U.S. Distributor for Proven Wind Turbines and associated balance of system components including: towers, power conditioning equipment, monitoring systems, hardware, and energy storage and conversion devices. Whether you are utility grid-connected or grid-independent, need uninterruptible power or not, Solar Wind Works offers custom solutions for all of your energy needs by providing highly reliable power systems that integrate photovoltaics, small wind turbines, micro-hydro turbines and conventionally fueled technologies.